One of the last industrial anchors in what was once Ohio’s manufacturing core is now on life support, just a little over a year after President Donald Trump told people not to leave and promised jobs would return to the area. 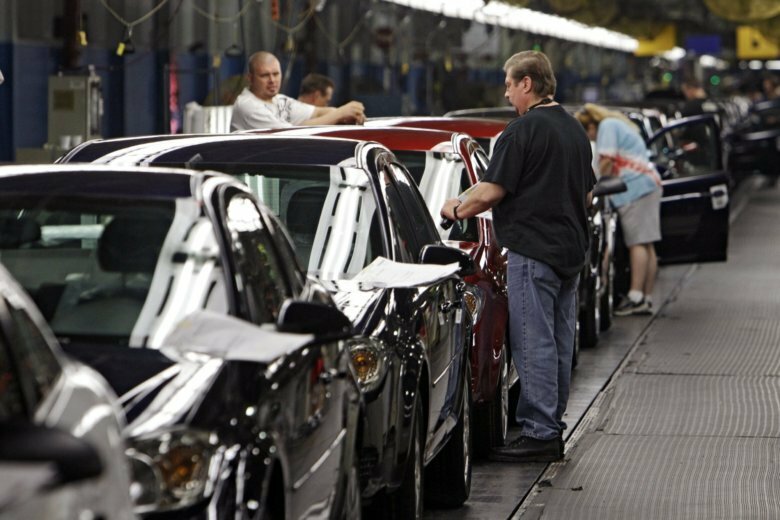 General Motors announced Monday it will stop small-car production at its assembly plant near Youngstown and consider closing it for good. Labor union leaders and others behind a campaign to save the plant in Lordstown are holding onto hope that they can persuade the automaker to find another use for the factory. But its outlook is bleak after GM announced production of the Chevy Cruze would stop in March, halting work at the assembly plant that already had lost two shifts and 3,000 union jobs since the beginning of last year. GM said Lordstown is one of five factories up for possible closure as it restructures to cut costs and focus on autonomous and electric vehicles. What happens to those plants will be discussed during contract talks with the United Auto Workers union next year. The once-bustling GM operation in northeastern Ohio’s Mahoning Valley is one of the few remaining ties to an era when thousands worked in steel plants and factories in Youngstown and surrounding communities. Bobbi Marsh, who has worked at the Lordstown plant since 2008 and whose father was there 42 years, said so many other jobs depend on the plant. “I can’t believe our president would allow this to happen,” she said Monday. Youngtown is in a Democratic and labor stronghold, where Trump won over a surprising number of voters two years ago because of his promise to bring work back to the U.S.
U.S. Rep. Tim Ryan, a Democrat who represents the Youngstown area, called on the president to take action. Hours after the announcement, Trump said his administration and lawmakers were exerting “a lot of pressure” on GM. Brown and Ryan also pointed out that taxpayers bailed out the automaker a decade ago and have expressed frustration during past months over their attempts to talk with GM CEO Mary Barra about how to keep the plant running. Just last week, politicians and union leaders kicked off a campaign to keep the Lordstown plant operating. UAW Local 1112 President Dave Green said Monday that there’s still hope. “We are determined to do everything we can to convince General Motors to make Lordstown part of the future of auto manufacturing,” he said. Ohio’s incoming governor, Republican Mike DeWine, said he plans on meeting with GM officials and make a case for the plant after he takes office in January.